Autumn is barely over, but the focus is swiftly moving onto Christmas and all that the season brings with it. The blogosphere and webosphere are already churning out the gift lists for runners, yogi’s … any and everyone in your life, basically. Fitness trackers themselves have already proven to be popular but now it’s all about the customisation. I myself have been through them all and even wrote a post on How To Make Fitness Trackers Work For You. I love these ribbon bands which fit a fitbit (cos it’s actually just a little nugget in a band itself!). Smart Clothing is a thing. You didn’t know?! Neither did I! The most notable on the market right now is the The Polo Tech Shirt from Ralph Lauren. I’m not sure it’s available in the UK yet but there are lots of lesser known brands out there if you’re willing to look for them! Another product I love in this category is by Mimo; a onesie type outfit for babies which monitors sleeping, breathing, body position as well as allowing you to listen in on your baby! I love the Smart Home apps and appliances that are out there too; controlling my kettle from my bed sounds like bliss to me! Anything to save me an extra couple of minutes in the morning! My style very much is from barre to bar already (read 24 hours in… here). Athleisure is a thing too these days. Everyone is quite happy to wear their comfy, stretchy pants to the supermarket as well as to class! If you have anything you would like to add / recommend just leave me a comment below! But what’s on YOUR wishlist for this Christmas?! Love those lights on the sneakers! So many fun trends! The things we come up with every year become more and more fascinating!! ..but useful at the same time! I love those lights for your shoes! 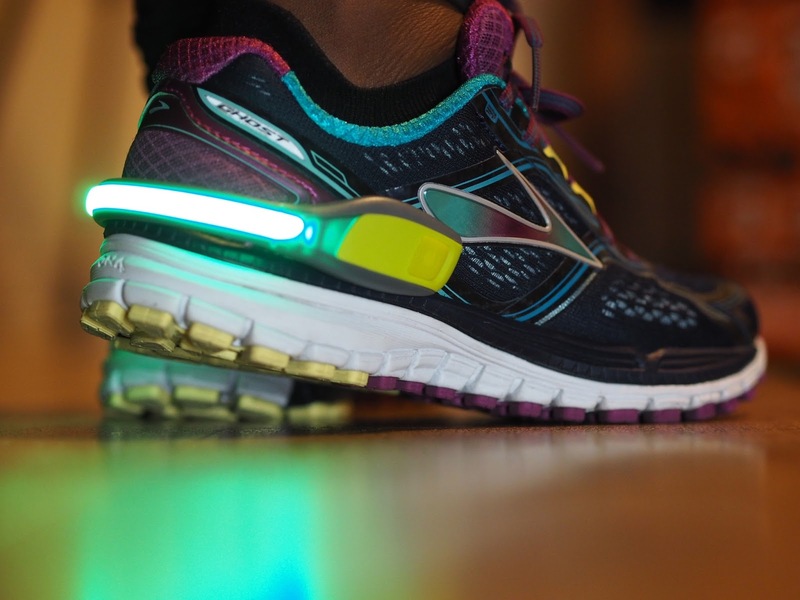 I should get those, I run on some very dark roads in the morning here. YES! take all the precautions when out in the dark! yes, do! …and I always find that the best presents are the ones I buy for myself! hahaha!